"The Millennium Falcon, originally known as YT-1300 492727ZED, was a modified YT-1300 light freighter with a storied history stretching back to the decades before the Clone Wars and the rise of the Galactic Empire. Manufactured by the Corellian Engineering Corporation in 60 BBY, the light freighter was first owned by Corell Industries Limited and underwent several name changes before being bought by the smugglers Kal and Dova Brigger in 48 BBY, and the ship eventually ended up as the property of the secretive Republic Group under the name Stellar Envoy by 29 BBY. The Envoy was destroyed in a collision with a bulk freighter above Nar Shaddaa, but it was rebuilt and served various owners under different names before Quip Fargil named it after the bat-falcon, and it eventually fell into the hands of Lando Calrissian after a game of sabacc—but Calrissian himself lost the ship in another game of sabacc to the smuggler Han Solo several years later. 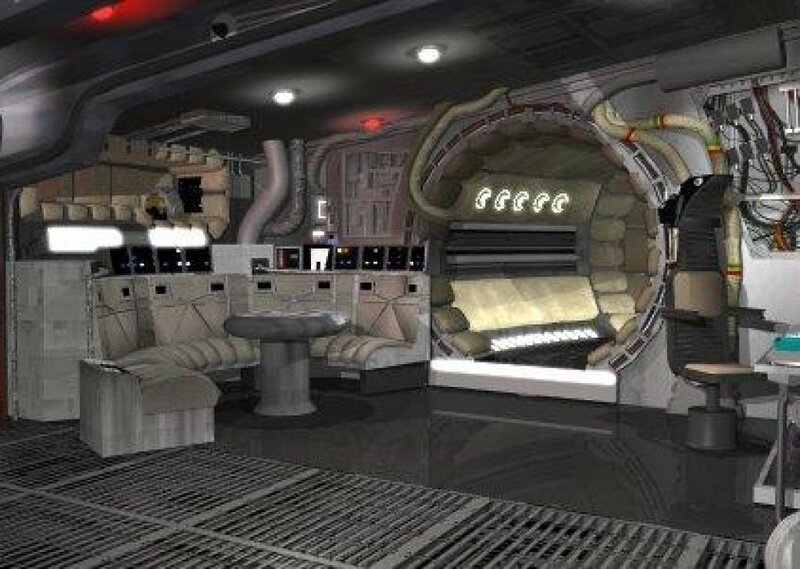 Comments for "Inside the Millennium Falcon"
License details for "Inside the Millennium Falcon"